In my continuing quest to build hours and cross-country time, I had a nice flight planned to Bad Axe. Skies were supposed to be clear up to 12,000 per the weather briefing. Not so much. 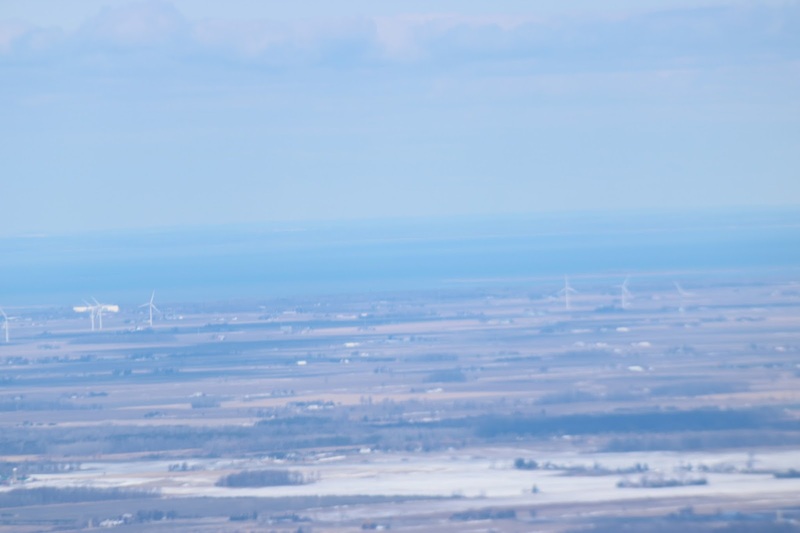 There was a pretty much broken layer between 3,000-3,500 the whole way there and back so it was a relatively low level flight the whole way. I had booked N8570F but for some reason they moved me to N1869H. N1869H has received a new paint job and new Garmin heading and attitude indicators, getting rid of its rather unreliable vacuum system. Pretty cool new stuff. Unfortunately, she would not start. So I had to move my stuff to N8570F and of course it started with no problems. A good and smooth takeoff and I was on my way. 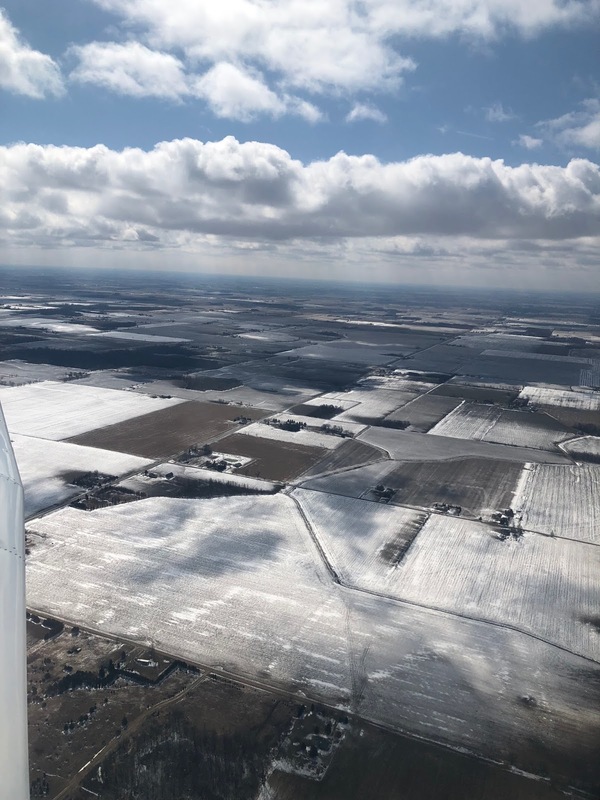 On the way to Bad Axe there was still a fair bit of snow on the ground as I flew north. 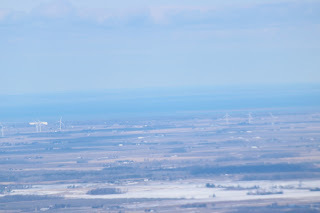 You know Bad Axe is near when you can see the many windmills and the Lake Huron in the distance. 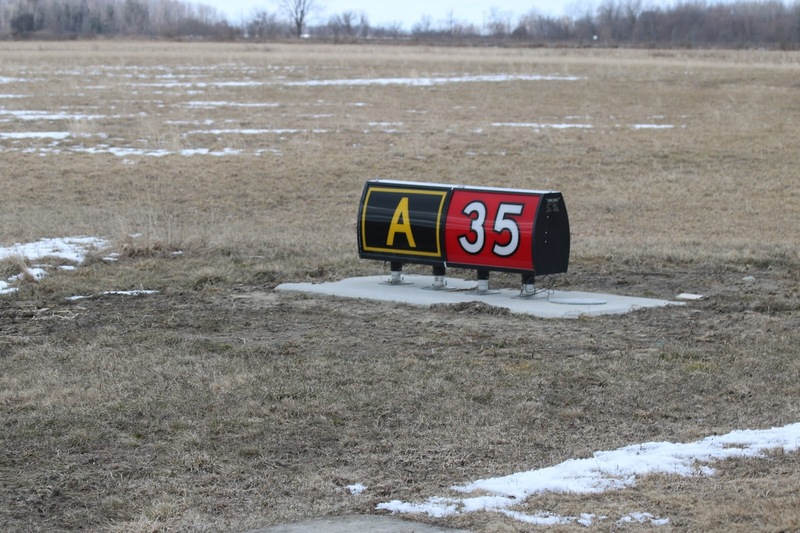 A nice landing on Runway 35 with a bit of a crosswind from 330 at 9 kts. Then taxi back on taxiway Alpha to the start of the runway, takeoff and head back to Pontiac. 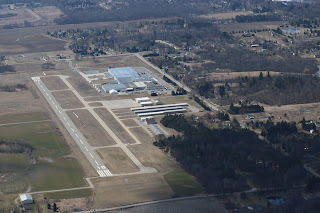 On the way back, I overflew Lapeer Airport. 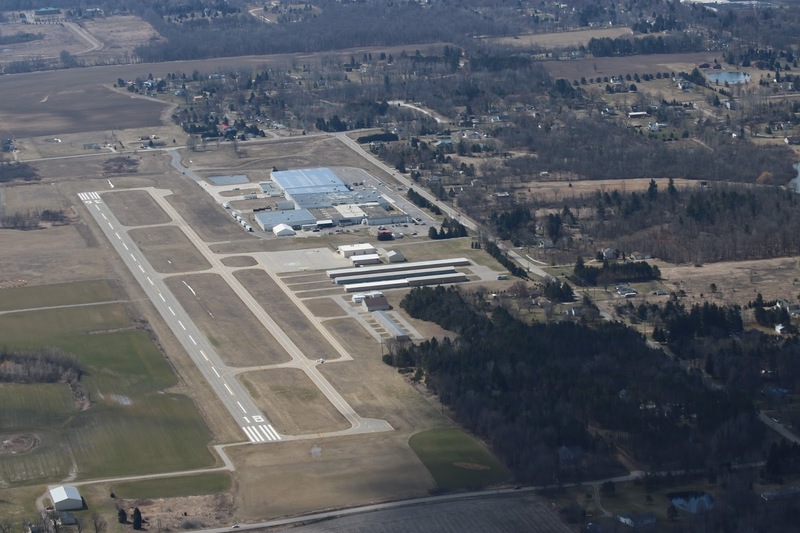 It's a nice airport to fly into, but I did not have the time to stop so I simply flew over and took a picture. 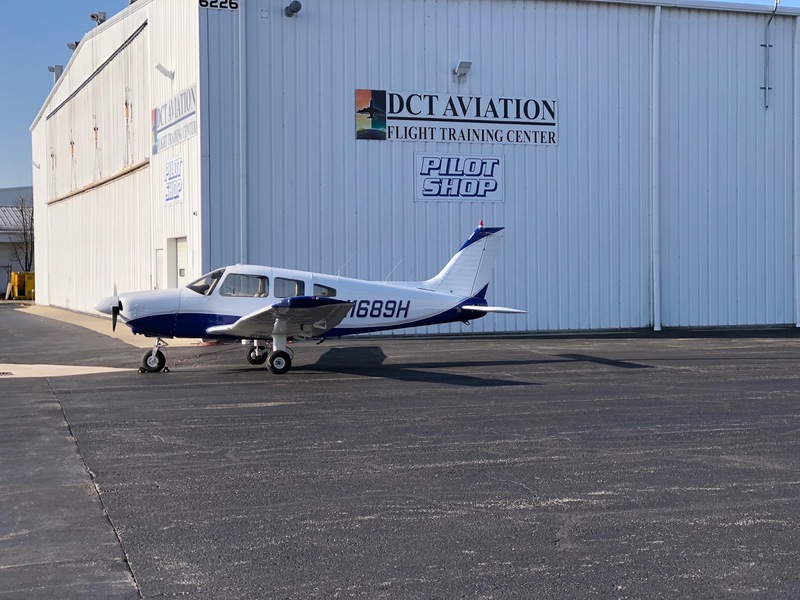 Then it was back to Pontiac and per the tower entering a right base and doing a very nice landing again on Runway 27R with winds from 300 at 12. I averaged around 120-130 kts per hour during the trip using full rental power as I had to make up the time lost that was involved in switching planes and doing two full preflights, and it was a nice quiet and relaxing time flying. 1.8 Hours and 2 landings. B: Yep, Full Rental Power, while not listed in any POH, is a very real setting. Yep, when the tach time matches Hobbs time. I got that. Here's the Wind Up, The Pitch . . .